We are officially in winter; however, beside the cold, a certain white friend is lacking. Though in the North-East of the U.S. we had a freak storm in the beginning of the fall (while there were still many many green leaves on trees) we still haven't REALLY gotten any SNOW! While I am not complaining, the absence of snow on the ground should never deter a white Christmas. 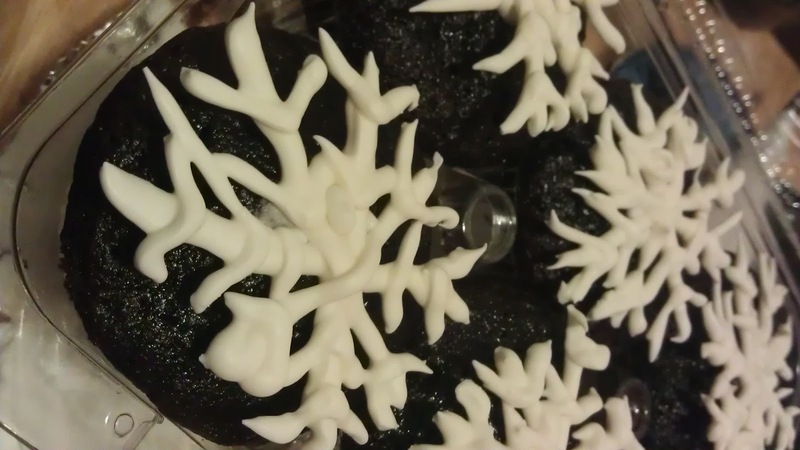 Introducing the First Flake Cupcake! 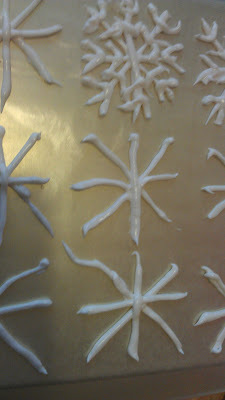 Using almond flavored royal icing I made some snow that is super easy to clean up! I piped some snow flakes on wax paper and allowed them to dry. Next I made my Black Fruit Cupcake (a spin on the traditional West Indian Christmas Black Cake). Preheat oven to 350 degrees. Cream butter and sugar/ mix oil and sugar. Add vanilla and rum flavorings. Add eggs and egg yolks one at a time until well blended. Sift self-rising flour 3 times and add to egg mixture. Alternate the addition of flour and puréed fruit, folding each in completely before adding the other. Pour into lined baking pans and bake until a pick inserted into the cake comes out clean. Makes 18 cupcakes. Once cooled you may use a basting brush to add some rum or wine of your choice to these cakes. Note: This recipie makes a very light moist cake, if you prefer a more pudding like texture to your Black Cake you may add up to two additionl cups of puréed fruit and an additional .5 cup of flour for each cup of fruit added and only sift the flour once.